We always have a good time at this casual, pleasant market. There’s restaurants on the side of the courtyard where we play. Why not do some shopping and then swing by for a snack or beverage and listen to our tunes? If your feet get happy, don’t feel shy. Start dancing in the streets! 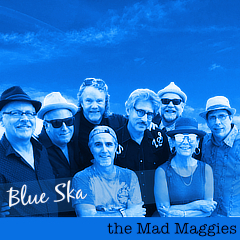 dancing, farmer's market, free, live music, san rafael, the mad maggies.